Prelaunch Webinar Start At 10am EST on April 26th! for those who will join us on the Webinar! Email is The Best Money Earner on The Planet! When You Do It Right! 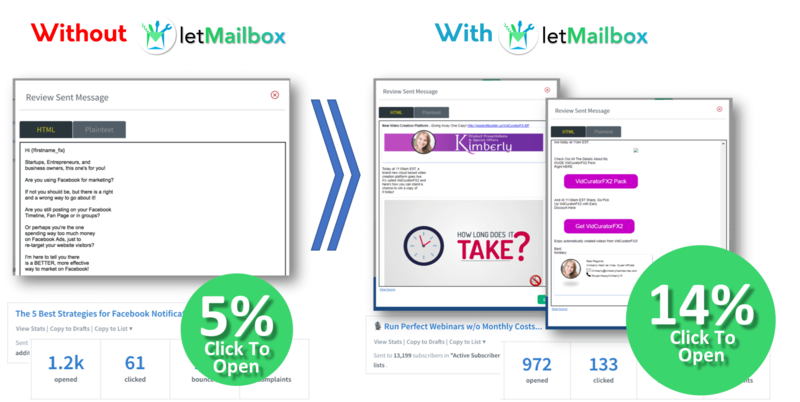 LetMailbox has combined all the conversion triggers used by AUTHORITY BRAND NAMES in one place that will instantly increase your conversion rates, the moment a client opens your email! Its a plug and play platform where you can setup all you conversion trigger methods in one easy to use dashboard. No expertise required. If you can copy/paste, you can use LetMailbox. LetMailbox pushes interactive engagement to the next level. If you are serious about using email marketing in your business, LetsEmail is the single tool you’ll need to succeed in 2018. With ready made email widgets anyone can start maximizing return on their email campaigns instantly! Exiting so early already? We have a deal. Up your game at email marketing with LetMailBox and stand out from the rest.